I’ve consistently told myself I’m not one of “those” fans. I’m sure some of you out there know exactly who I’m talking about – comic book enthusiasts who take their enthusiasm a little too personally. The most extreme version of “those” fans are the ones that send death threats to Dan Slott for his “twist” ending in ASM #700, but beyond the sociopaths, “those” fans like to use pedestals on the Internet to rip apart every single plot development or editorial decision in Spider-Man’s history, acting as if anything that defies the original themes put forward by Stan Lee and Steve Ditko, or a select chosen few of such contemporary writers as Roger Stern, Peter David or JM Dematteis, is a personal affront to their sensibilities. Please, if you’re one of “those” fans, just keep your comments to yourself, though I hope you enjoy my blog all the same. And yet just the mention of the character Alpha makes me seethe. I wish I didn’t feel this way, but if I had my druthers, Alpha is a character that would have never come into existence. I’m at a loss to figure out what he adds to the Marvel Universe or Spider-Man’s journey. I’m shocked and dismayed that the 50th anniversary issue of ASM marked his horrendous debut. And I can’t for the life of me justify why this little creep gets his own mini-series. And before anyone says to me in the comments section or on Twitter, “but wait, you have to read the mini-series before you slam it. Alpha isn’t as annoying as he was in ASM,” let me say that despite my irrational hatred and protest, I picked up a copy of Alpha Big Time #1. I picked it up even though $2.99 seems like a lost to ask for a comic book about a character with zero redeeming qualities. I purchased the comic even though the artwork featured in the previews was as bad as any artwork I’ve seen in a Spidey-related title since the post Clone-Saga 90s era. Yes, 9 months after debuting him as Spider-Man’s sidekick, the only thing the first issue of this mini-series confirms is that Marvel still has no clue what they want to do with this character. First he started out as a perfectly average kid – not smart, not stupid, not a bully, not a nerd. From there he got his powers and he became an egomaniac blurting out stupid catchphrases as if he were Poochie. 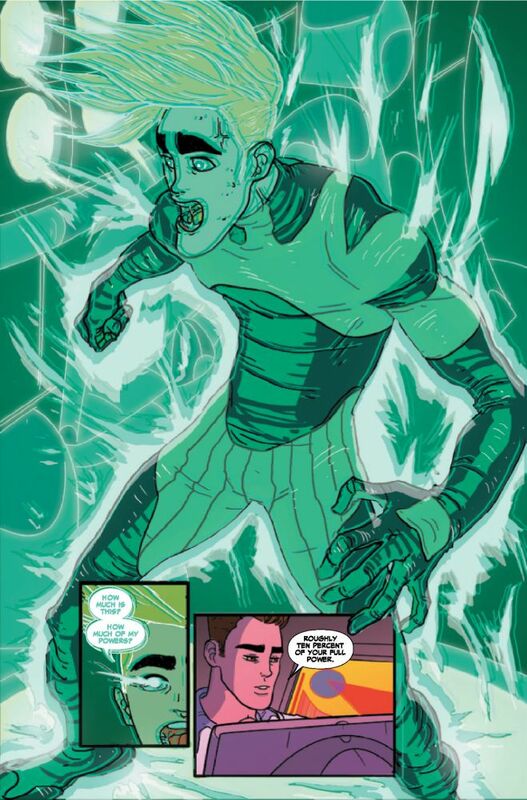 For Big Time #1, he’s now a loser getting picked on by his classmates since his Alpha power has been decommissioned. I still don’t care. Beyond that, I was hopeful that maybe the mini-series would provide us with some more interesting insights into Spidey-Ock’s Superior Spider-Man character. I was reminded that it was Peter Parker who had Alpha shut down, so perhaps Doc Ock would see something different in the kid. Or maybe he just drive him through a brick wall and end this series immediately. I was prepared for either (but hoping for the latter). Instead, Joshua Fialkov’s script gives us the most rigid, uninspiring Superior Spider-Man yet, complete with some hackneyed supervillain dialogue from Spider-Ock after he gives Alpha just a “little bit of his powers back. Isn’t the whole point of the Superior character is to show a career supervillain attempting (and continually failing) to reform himself. Fialkov’s Spider-Ock felt a little bit too much like it was the old Doc Ock parading around as Spider-Man in disguise. Alpha #2 allegedly came out last week. Don’t ask me if the story gets any better because I’m not going to read it. Honestly, I’m going to avoid any material with Alpha in it for as long as it’s feasible. There’s still a part of me that worries that some at Marvel is going to wake up and say, “hey, Parker is boring, and Otto is crazy. 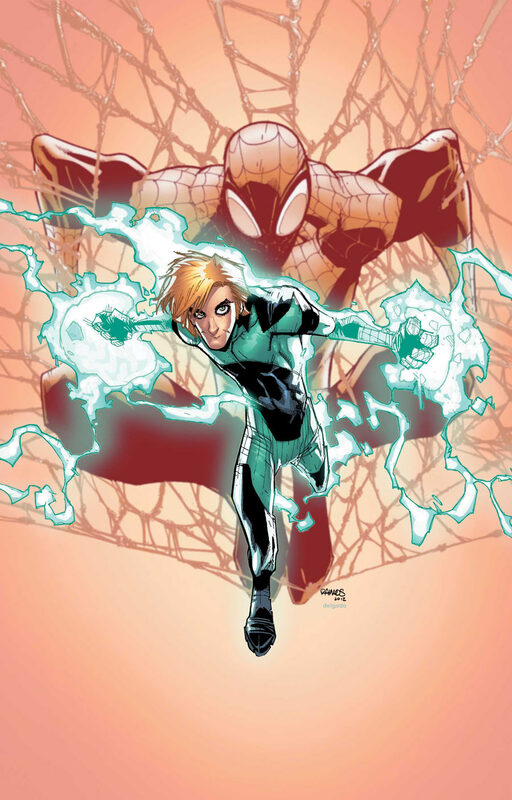 Let’s make Alpha the new Spider-Man.” THAT might be the moment where I finally quite Spider-Man once and for all. That’s when I’ll official be one of “those” people. Yeah, kind of a pedestrian character. I cannot imagine him ever raching Deadpool/Wolverine status but if he does, I own the book! Now if I had only kept that first appearance of Punisher. I don’t know why people are hating on Alpha. I like the idea of a childish hero with more power than he can control. 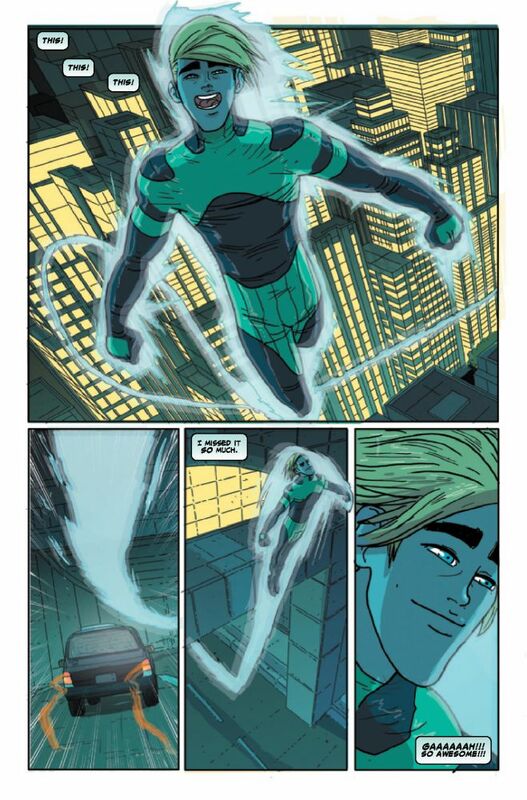 Sure he will probably never be a big hero, but for a short series, I think it’s absolutely worth it.